Firm up the rear of the vehicle at the same time as the front in order to achieve a proper balance of the car that will maximize its handling characteristics. 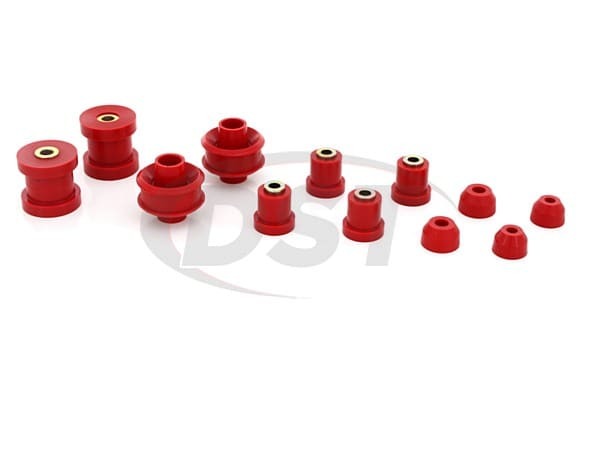 By installing Prothane's performance polyurethane bushings, you can take your S2000 to the next level and protect yourself from costly repairs down the road, while Increasing your speed and handling especially while cornering. 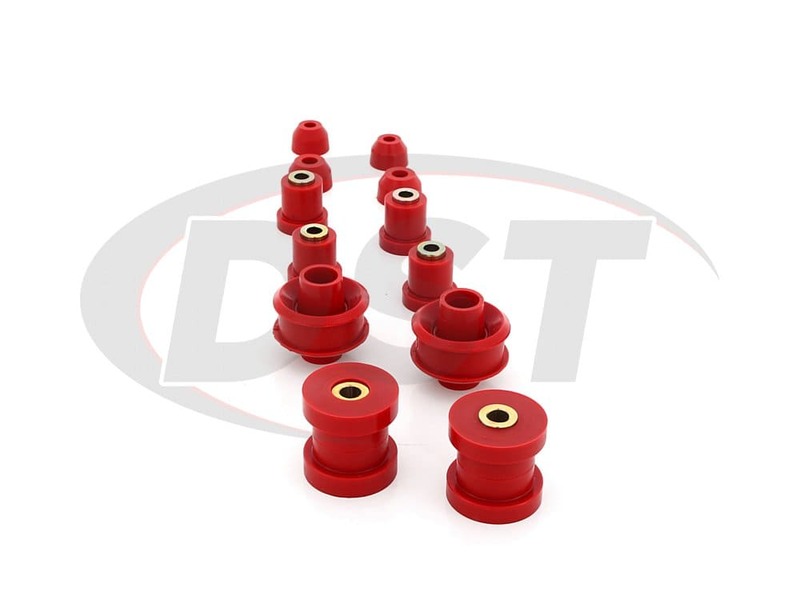 This kit is a performance polyurethane bushing replacement kit for the upper and lower control arms on your S2000 to give you that edge on the street or the track. The Front Control Arms are covered with a lower bushing for the front position and the rear position, complete with a new steel inner sleeve. For the upper arms, there is a pair of bushings for each side with new steel inner sleeves as well. These inner sleeves are designed to match your OE bolt size. This kit is complete with new polyurethane dust boots for the upper and lower joints. 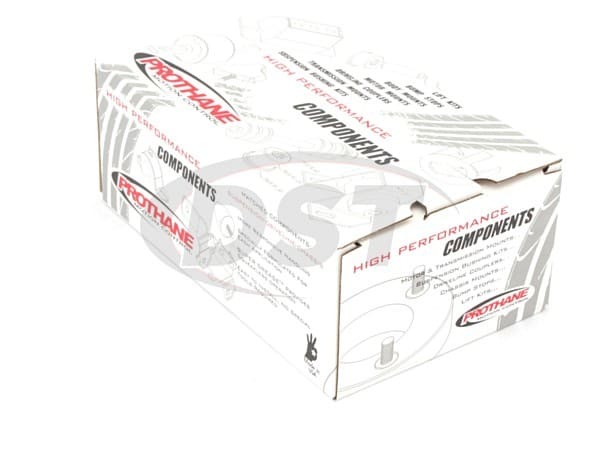 To install this kit you will want to use plenty Prothane's Super Grease for the control arms and sway bars. Prothane also recommends that your mark the camber bolt heads with a paint marker before you remove them.  This way you can ensure you will put them back in the right place to keep them aligned. And be sure to wait until the car is back on the ground in a relaxed position before you tighten the strut to the control arm. Ive install only 2 bushings in the kit because of the bad fitment, you asked to me to send you pictures and proof I didnt took the time to do it. I cannot comment on the warranty. 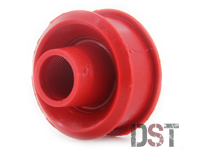 Editors Note: We follow certain guidelines about issues with bushings that do not fit. Many factors come into play concerning fitment. We require pictures to show us what the issues with fitment. 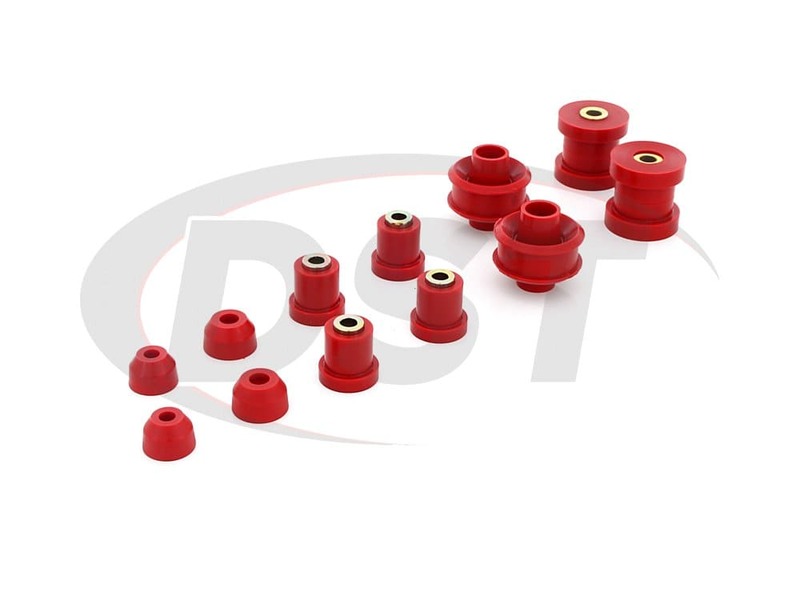 Is part number 8224 the complete kit for the control arm bushings? Yes, part number 8224 is the complete kit for the upper and lower control arms, as well as for the left and right side. 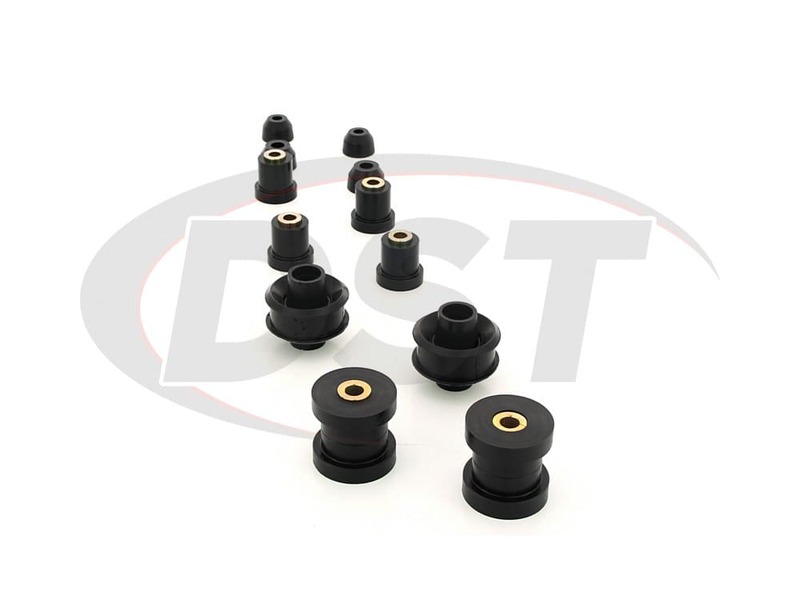 Seeing if you had a full master bushing set for a 2002 Honda s2000 2 door convertible? 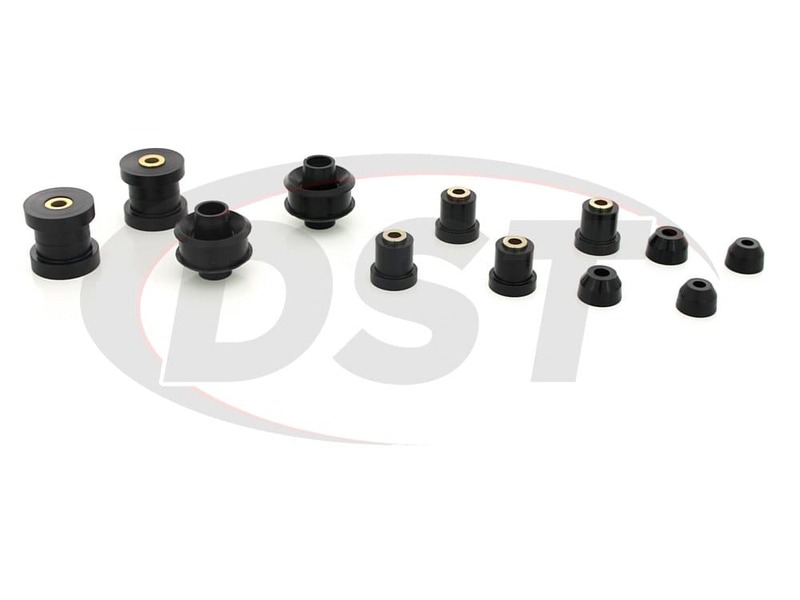 The 82022 kit will include the Front Upper and Lower Control Arm Bushings, and Dust Boots, Rear Control Arm Bushings, Track Arm Bushings, and Dust Boots, Rear Differential Bushings, Front Sway Bar Bushings - 28mm and , Rear Sway Bar Bushings - 27mm.